Have you ever wondered who was on the other end of that phone call or e-mail? 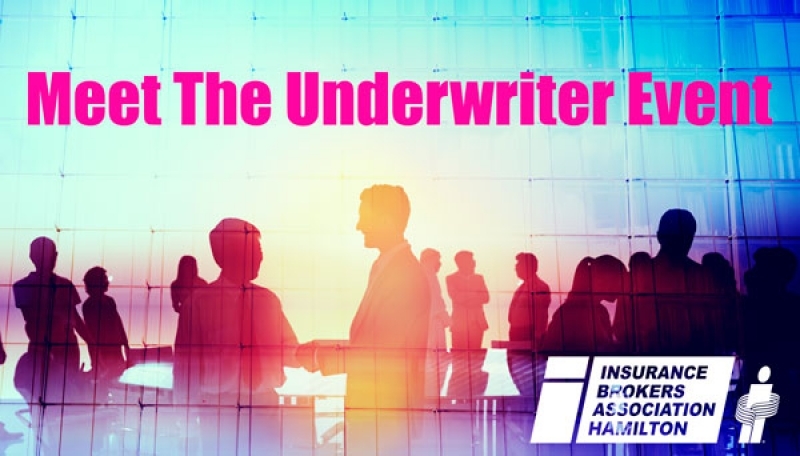 We are thrilled to present the 2017, Meet the Underwriter Night on Thursday, April 20, 2017. This event was passed on to us in 2015 by the Hamilton Field Reps Association and we are excited to be carrying on with this networking tradition. Who's Invited? All Insurance Brokers (not just IBAO members), Insurance Company Underwriters, and MGA Underwriters are invited and encouraged to attend! We are pleased to have been handed the torch and are looking forward to another successful turnout. The event cost is a single $40.00 Participation Contribution (used to cover the costs of signage, name tags, and door prizes) plus $45.00 per ticket for each attendee. Each ticket includes your dinner for each attendee as well as a chance to win one of the door prizes. We encourage all companies to bring a door prize to be raffled off at the end of the evening. Kindly note, this event is not a tradeshow and we ask that you do not bring pamphlets or other handouts. You only need to bring underwriters and business cards as the event is intended as a casual place to meet those that we deal with every day over the phone and by e-mail. Registration is to be completed on line in order to secure your spot at this event. Register today as space is limited and registration is on a first come, first serve basis. Please note we will not reserve tickets at the door without payment. Once registered, please be sure to share this with all your brokers; let them know you hope to see them come out to the event! Come join the IBAH as we continue the tradition of this prestigious evening. Your next opportunity for this event will not occur until 2019! Please register below and pay online. If you have any questions you can contact Ashley Manti at ashleym@daltontimmis.com or 905-318-2615.